A bridal shower tea party theme is a lovely idea. Large or small, this can be an intimate affair. Picture your guests seated at tables with "real" tablecloths and "real china". These items, alone, will set the tone of the party. A bridal shower tea party is typically held in the afternoon. Your location can be indoors or outside. The number of guests and time of year will influence your decision. So, if relaxation is key, you're on the right track. • Tea Party Bridal Shower Invitations should convey a quiet elegance. A picture of a teapot, tea cup, or floral design are all possible choices. How about including a tea bag inside? • Bridal shower tea party theme decorations should be simple but elegant. Linen tablecloths in soft colors display a dreamy look. You can leave these plain, or cover with lace tablecloths. A small floral print or gingham are other pretty options. Fresh flowers are always in good taste. A teapot filled with flowers makes a lovely centerpiece. Use lace doilies under the centerpiece for that extra touch. • Beau-coup.com has a variety of themed paper goods, or shop your local party, craft and retail locations. ○ Brewed tea: offer your guests several flavors. If you are planning an authentic "British High Tea", then you could serve Earl Grey, Lady Grey, or English breakfast. ○ It is also a nice idea to offer iced tea. ○ Some punch recipes include delicious brewed tea. ○ Finger sandwiches: these always look fancy, but are actually very simple to make. Start with your choice of bread. Remove the crust. Take two pieces and fill with chicken salad, tuna, egg salad, etc. Cut in half, on a diagonal, forming two triangles. Using different types of bread and fillings will add visual interest. ○ Cookies: a great tea party idea is to make or buy these in the shapes of a teapot and teacups. ○ Cupcakes or muffins in party wrappers are a nice touch. • Classic games for your tea party. 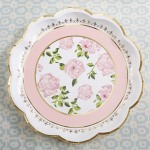 • Gift ideas for your bridal shower tea party theme are easy to find. ○ There are collectible pots in all shapes, colors, and sizes. ○ Assortments of teas both traditional and exotic, are available. ○ Fancy table linens are also a good choice. 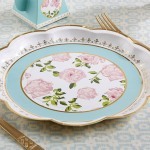 ○ Choose from many lovely bridal shower tea party theme gifts at The Obsession Box Company. 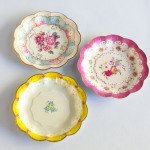 ○ Let your guests take home the tea cup they've used, as their favor. ○ Decorate a small straw hat (found at craft stores), with silk flowers and ribbon. ○ Wrap a tin of herbal tea with a ribbon for a special tea party idea. *** Style Tip : The Royal Wedding of Prince William to Kate Middleton prompted an interest in English fashion accessories. The bride and her guests can sport silk gloves with a fun fascinator, hat, or headband, or a tiara fit for a princess. A royal sash is perfect for the guest of honor to wear on this special occasion. 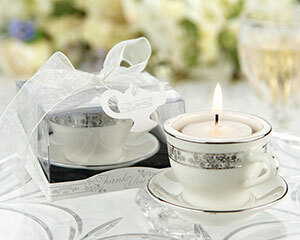 A bridal shower tea party is a stress-free way for the bride-to-be and her guests to celebrate this special time. 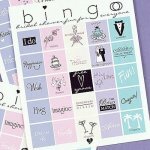 • Ideas for other bridal shower themes. • Go from tea party theme page, to Bridal Shower Ideas For You homepage.